I'll admit that I'm a bit of ramen snob. This is because I spent six years growing up in Kyoto/Nara, Japan, where delicious ramen is easy to find. When I first arrived in Hong Kong six years ago, I wasn't sure what Hong Kong would have to offer in the ramen department. 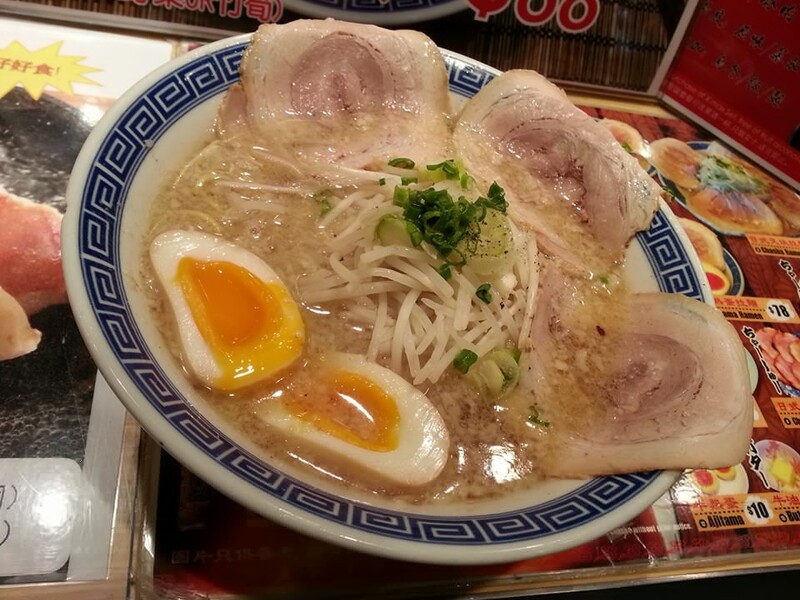 I've since discovered that there are great options for ramen here as I've outlined in a previous post on some of my favourite spots. One of these is Ramen Champion, in Jordan downstairs from Exit E of the MTR. Ramen Champion takes ramen to a new level. I've never been to a food court dedicated entirely to ramen (even in Japan) and food court food is usually hit or miss for me in Hong Kong, even though it's outstanding in other Southeast Asian countries. I didn't think Ramen Champion would be any different and prepared myself for what I thought would be mediocre soft ramen in a bland broth. WRONG! The ramen I had was meccha oishikatta (very good) as we say in Kansai-ben in Japanese. The ramen I tried was from Muso. Green onions, bean sprouts, three tender pieces of pork belly, a runny soft-boiled egg and broth with enough garlic to kill a generation of vampires (just the way I like it!) made up the ramen that I fell in love with. "Ganso (Original) Tokyo back fat falling like powder snow ramen. Taste is original and classical for Japanese. Genkotsu (pork born leg) and chicken soup is exquisite balance taste. No. 1 super popular restaurant." If that description doesn't make you want to try their ramen, I'm not sure what will. When I return to try something new, it will be from the tsukemen shop (Hachi Mori Ya) and ramen piled mountain high from Asura.